Ladies fan, with ivory frame. Either end has floral carving on it with painted gold detail, as do the base areas of the individual ivory fan 'ribs'. 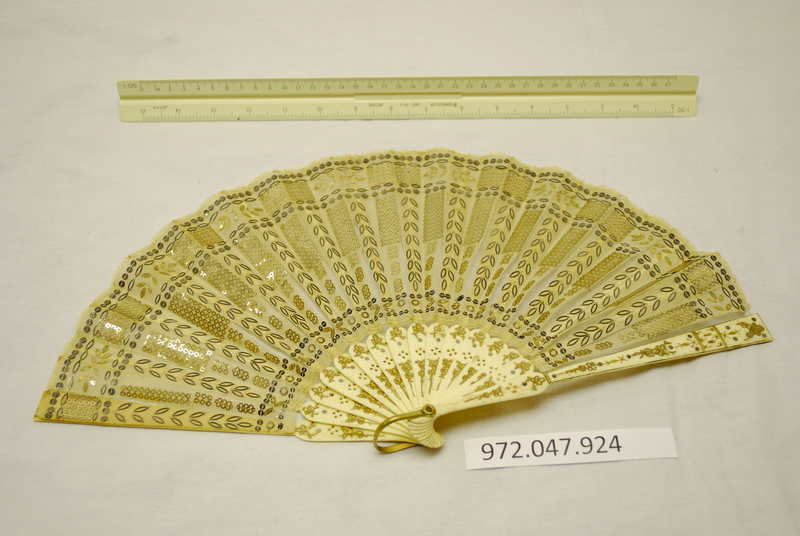 The fabric on the upper part of the fan 'ribs' has cream coloured fabric covering, probably silk. which is decorated with gold and silver coloured sequins.